Japan is aiming to become a global leader in the field of regenerative medicine. The government has taken proactive steps to overhaul the framework of the regulatory process for regenerative medicine products. This deregulation, along with other key factors such an aging demographic and a large, mature pharmaceutical market, paves the way for increased R&D activity and rapid commercialisation of innovative therapies. According to the Japanese Ministry of Economy, Trade and Industry, the regenerative medicine market in Japan amounted to $90 million in 2012 and is expected to grow to $950 million by 2020 and $10 billion in 2030. In 2014, the Japanese government enacted new legislation changing the dynamics of the clinical application of regenerative medicine. The Pharmaceutical Affairs law was revised and a new category and a specific regulatory framework for regenerative medicine products were created. 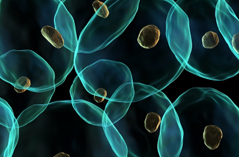 The ‘Regenerative medicine’ definition includes cell therapy and gene therapy. The traditional regulatory pathway is no longer mandatory for therapeutic candidates that qualify under the new framework. As a result of the favourable new law, a conditional and time-limited marketing authorization may be granted to certain regenerative medicine products if small Phase I/II clinical studies can demonstrate safety and probable benefit. The introduction of the new system is expected to shorten approval times to around 3-4 years. Following conditional approval, a post-market surveillance period of around 5-7 years, after which the treatment can be further evaluated for safety and efficacy in order to obtain final approval. The RM Act introduces a licensing scheme for the outsourcing of cell processing. Previously, the culture and processing of cells and tissues for regenerative medicine using human cells for investigator-initiated clinical researches or medical treatments not covered by the national health insurance scheme could only be conducted at medical institutions under the supervision of the physicians sponsoring the clinical research. A review and notification system was also established, categorising therapies according to risk level. In September 2015, the first two products were approved in Japan under the new law. Mesoblast’s partner JCR Pharmaceuticals received approval of its product TEMCELL® (allogeneic mesenchymal stromal cells) for the treatment of pediatric acute graft-versus-host disease in Japan. In addition, Terumo Corporation received conditional approval based on clinical data on only 7 patients for its product HeartSheet® (autologous skeletal myoblast sheets) for heart failure. About two months after market authorisation, both products received reimbursement approval. TEMCELL® is priced ~ $115,000 – $170,00 (depending on total number of doses infused) and HeartSheet® is priced ~ $120,000. Prior to the new acts in regenerative medicine, Japan Tissue Engineering (J-TEC) received approval for commercialisation of autologous cultured epidermis and autologous cultured cartilage in 2007 and 2012, respectively. The favourable regulatory framework creates significant opportunities for foreign companies looking to enter the Japanese market through outlicensing and partnering. Major Japanese corporations seeking innovation externally are active in acquiring or establishing alliances with regenerative medicine companies such as Athersys, Avita Medical, Cynata, Cytori, Mesoblast, Pluristem, RepliCel, and Regeneus. Taking full advantage of the RMS Act, as well as domestic demand for high quality regenerative medicine products, companies are developing the capabilities and large-scale infrastructure for contract development and manufacturing. Recent partnerships include Fujifilm-Cellular Dynamics and Nikon-Lonza. Both the fast track approval process supporting early commercialisation of regenerative medicine therapies and the outsourcing of cell culturing from medical institutions to external companies accelerate the clinical development of cellular therapies and other regenerative medicine treatments.